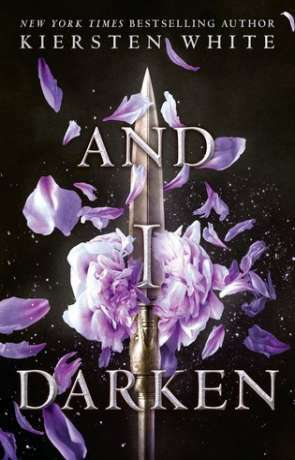 This book, by Kiersten White, is a gender flipped historically based story of the early life of Vlad the Impaler or in this case, Lada Dracul. White takes the bones of the historical accounts and layers it with a rich imaginings of characters and quirks, to give the reader some insight into a belivable character that could have inspired the stories that followed. The gender flip is imbedded from the start, the character has all the nuances of a little girl, with many of the personality traits which are steriotypically identified as male. The dispairing but fond nurse looks at her in a way that many parent will find familiar. The novel covers her life in the royal family of Wallachia, an upbringing of absent parents and competitive nobel born children, where violence is considered strong and weakness of body to be weakness of character. The changing political situation and her families direct involvement in it sees her and her brother starting a new life as "guests" of the Ottoman throne. Lada is a conflicted character, but not, as you might expect, in conflict with herself, the but often in conflict with how others want her to behave. The violent tendancies and ruthless will to win could make for a very one dimensional character, but the passion and fiercely protective instinct gives Lada depth. Lada's personality traits are contrasted frequently with her brother Radu's more feminine nature. His dislike of violence and preference for more intellectual persuits finds him at odds with the harsh society in which they grew up, but perhaps more at home in the artificial bubble created by being royal hostages. It is an interesting story, easy to read and goes at a good pace. The characters develope through the twists and turns of the tale. Perhaps my only critisim is that the tale ends as she rides back into her beloved country Wallachia and I want to know what happens next... but perhaps that is where the legends take over the telling of the tale. Written on 7th December 2017 by Karen Fishwick.